Get things fixed! 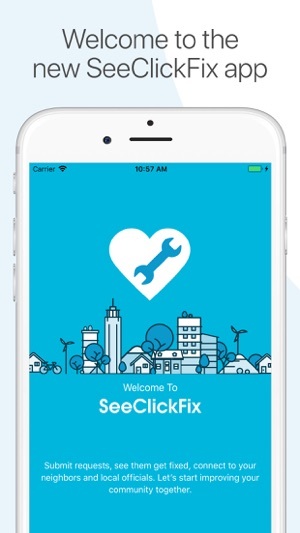 Participate and communicate with public services via SeeClickFix - an efficient tool for reporting non-emergency concerns like potholes or light outages to the service provider responsible for fixing them. We smashed some bugs in viewing and navigating organizations in your area, updated the issue card UI, and made it easier to share issues with your neighbors! I've been using this app for a few months. 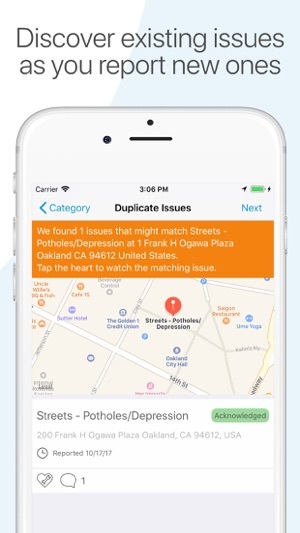 It is quite useful for getting those nasty potholes repaired. Like a lot of drivers I travel the same route every day. Always amazed that a road repair crew will just drive by the holes and not fix them. Worse, they'll fix one you report but leave another one five feet away and not fill it. This app makes it more efficient. Enable GPS and then Snap photos with your smartphone. Fill out the form and attach photos. GPS provides specific addresses (in most cases) so the crew can find it, compare to the photo(s) and get 'r done. I like it! Tires,?wheels, tie rods, springs. All that it very expensive to repair. 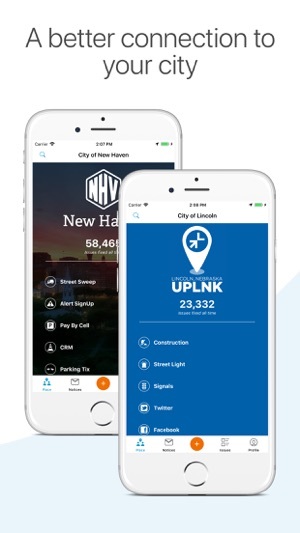 Compared to the cost of fixing some holes this app provides a civic minded way to save yourself and thousands of other drivers costly repairs. 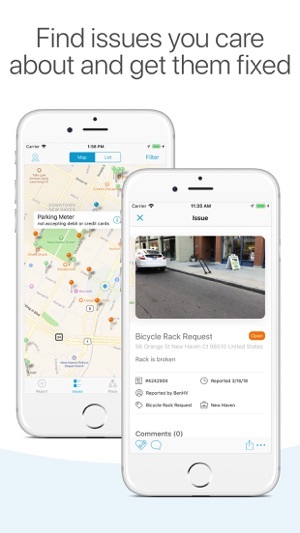 Virginia Beach is very good about getting them fixed quickly, there is no reason not to use this app! This is nothing but a copied and renamed version of Commonwealth Connect. I would be OK with that if they at least fixed some of the glitches and shortcomings of Commonwealth Connect. First of all, there’s no intuitive way to sort through issues in your neighborhood. Second, there is really no help through the app to explain certain things. For example, what do the different colors of the pins actually represent? Also, why is it that when I receive an email notification I can’t just click on the link and automatically open the app to that issue? Instead, it opens a web browser which is much more difficult to navigate on a mobile device. I feel like this app is an excellent start to improving our community, but it really needs a better GUI. Past: great tool for reporting and getting minor issues resolved. Present: Poor tool where duplicate, ONGOING complaints are being erased and intentionally overlooked by the City ppl accessing this app. They are finding reasons NOT to acknowledge and address your written, legitimate complaints. Trying to hide something... i don’t know what, but something. Post and post for help to no avail. Several caring Complaints CLOSED with no resolution. This app is now a joke that is simply Not Funny. 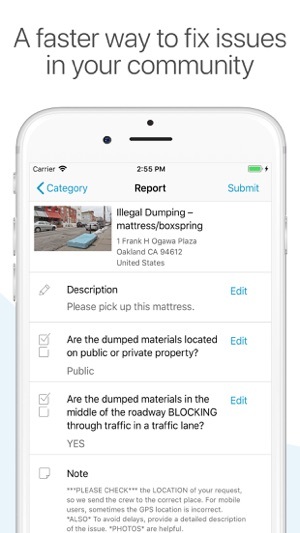 City taxes paid, but this City rudely stops you from posting a complaint until they review and revise what you are actually complaining about. Would do better sending a News cam for exposure. Trying to make Memphis a better place, but the real issues are covered up. Unprofessionally awful in many ways! You started this system- Why STOP now!